Is it Time for the World’s Most Popular Herbicide’s Last Roundup? Big commodity farmers love Monsanto Company’s so-called “Roundup Ready” crops, which now account for 70 percent of the corn and 90 percent of the soybeans grown in the United States. Little wonder. Monsanto’s seeds are genetically modified to survive applications of the company’s weed killer, Roundup. This enables farmers to simply spray the popular herbicide directly on their fields throughout the season. Weeds obligingly shrivel and die, but the crops keep growing. 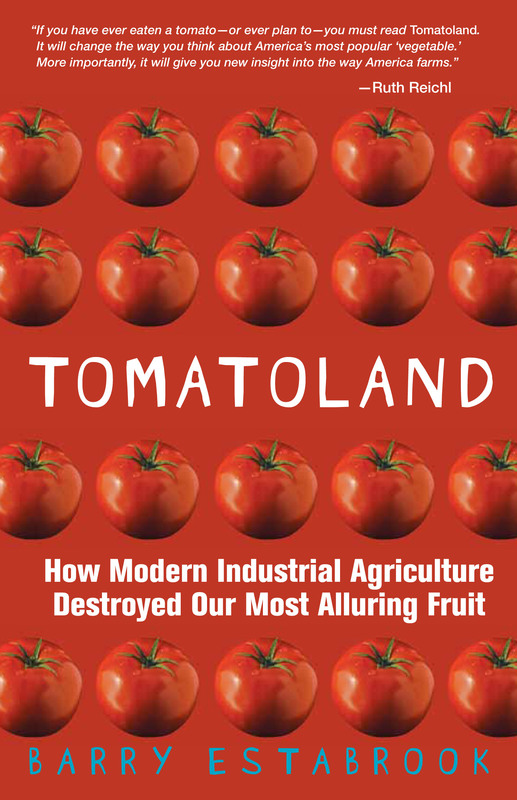 Putting aside environmental concerns, using Roundup Ready seeds sounds like a no-brainer, and for several years after Monsanto introduced GM crops in the late 1990s, farmers were convinced it was, making Roundup the world’s biggest selling herbicide. Now, there is mounting evidence that the Roundup-Ready miracle was always too good to be true. Earlier this month, United States Department of Agriculture (USDA) microbiologist Bob Kremer, told a Kansas City gathering of the Organization for Competitive Markets, a research organization that focuses on antitrust issues and trade policy in agriculture, that the active ingredient in Roundup, glyphosate, affects the root structure of crops and that the herbicide could be causing a fungal root disease. That might be the explanation for why research shows that the GM crops do not yield more than conventional crops, said Kremer, who has spent 15 years studying the effects of Roundup. Kremer’s work supports claims by the retired Purdue University plant pathologist Don Huber that glyphosate reduces soybeans’ ability to absorb minerals in the soil by as much as 80 percent. These “micronutrients” include calcium, cobalt, copper, iron, manganese, magnesium, nickel, and zinc. Huber says that the chemical also kills microorganisms in the soil that are important to plant growth, and he believes there is evidence that it could even be harmful to the health of humans and animals. Monsanto denies all of these claims. But there is no denying another problem caused by Roundup Ready crops. At least 10 species of native weeds, including giant ragweed and marestail, have mutated and become “Roundup Ready” themselves, forcing farmers to resort to herbicides that are even more environmentally harmful than glyphosate or in some cases to abandon fields altogether. First discovered in 2000 in Delaware, the “superweeds” have now spread to 22 states, according to scientists at the University of Missouri. Given the mounting body of research indicating that Roundup Ready crops are far from the panacea they were once thought to be, one would think that the USDA would be interested in at least reviewing the latest findings, but Kremer said that his employer has shown no interest in further research. On the contrary, earlier this year the USDA approved the unrestricted planting of Roundup Ready alfalfa. In terms of acreage, alfalfa is the United States’ fourth biggest crop behind corn, soybeans, and wheat. Creating resistant weeds, harming the very crops it was meant to protect, possibly harmful to human health . . . It may be time for Roundup and the GMO crops that rely on it to ride off into the sunset. Good points/post, although I believe you mean Don Huber from Purdue University. Thanks, Liz. As a one-time Indiana boy, my head is hanging in shame. I have fired the blog’s fact-checker–one Estabrook. and it’s place in our agricultural future. Can you add Facebook links to your pages…? Question is not whether GM crops yield more lbs per acre. It is whether they yield more dollars per dollar spent. I agree w your apparent anti-monopoly goals, but the yield argument has a huge flaw IMO. Genetically engineered crops are an affront to all things natural and a direct assault against our constitutional rights. How else can you explain that EVERYONE is defenseless against airborne, bird & insect borne patented pollen? Can you stop it from contaminating your land? Can you stop it from contaminating your pure species of plant? No. With every patented pollen spore goes title transfer to another citizen’s property to Monsanto. It’s a perversion of everything natural. Aside from the hubris claims of feeding the world, what 15 years of undocumented human feeding studies conducted on all Americans without our knowledge and permission has yielded is one of the most unhealthy populations on earth. Obesity, diabetes, cancer, asthma, ADHD, Alzheimers and other illnesses have tracked and skyrocketed since the introduction of GMOs. Not coincidentally, there was about a 15 year lag behind the introduction of DDT before the negative signs of its use began to manifest. I’d submit that GMOs are our 2011 equivalent of DDT except humans are the fragile eagle eggs in the bio-catastrophe. J. J. There is no place on my plate for GMO. I would rather eat weeds than the poison that some people are calling food in the markets these days. Not to worry just because I won’t buy GM foods, more for you! I’m pretty sure “Superweeds” were just weeds before Roundup came along. Have they really “mutated”? Come on. As well, ask a board certified toxicologist if they think glyphosate is toxic. That’s not hard to find out. Call any poison center in the country. Check your facts. 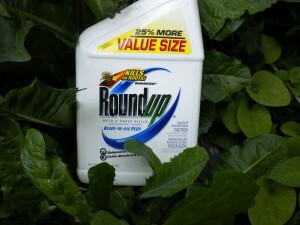 And what exactly are these microorganisms Roundup is killing? I’m pretty sure Mr. Huber could tell you. Support scientific research and not “boogeyman” paranoia. Educate yourself. Sure Roundup could ride off into the sunset – but there will certainly be something else to fill the void. Welcome to commercial farming. 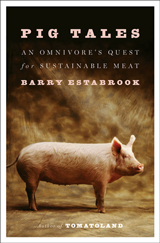 I’d argue we should diligently pay attention to where/how are food is produced – but be reasonable. Write responsible articles. Educate yourself. Think about the future effects of population growth. What do societies do when they go hungry? We need to RESPONSIBLY support economic large scale farming – not villify it. Thx. Is it Time for the World’s Most Popular Herbicide’s Last Roundup? – just great!